Place a What Goes Where poster in a few locations around your complex for tenants to reference. This poster will help inform tenants of what items go to the garbage, recycling and Eco Station. 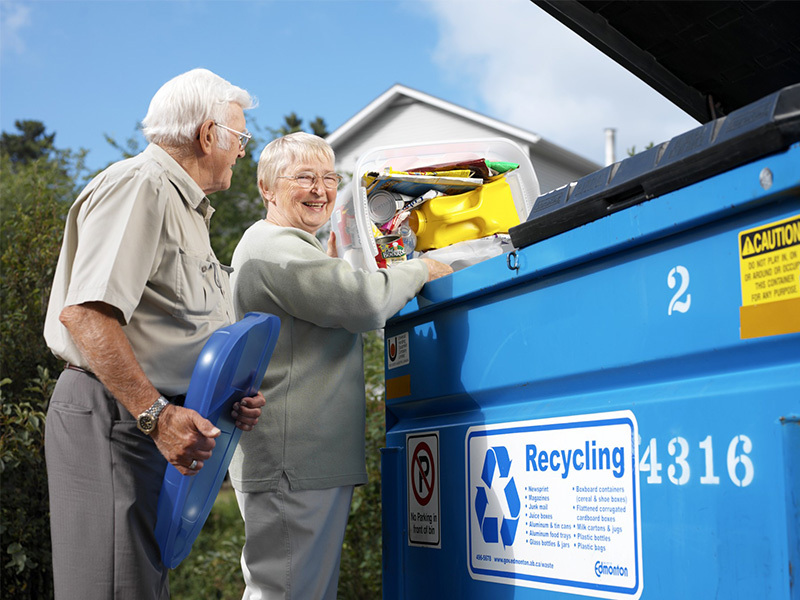 Review Edmonton’s Guide to Waste and Recycling to ensure new tenants know how to dispose of recycling (Blue Bin or Community Recycling Depot) and household garbage. Consider asking your tenants to make a pledge to be WasteWise with a written commitment this informal agreement upon move in. A great way to help your tenants and building become WasteWise make a commitment to dispose of their waste correctly. Inform new tenant of the closest Eco Station where they can take their large items and household hazardous waste. Remind tenants moving out of the closest Eco Station where they can take their large items and household hazardous waste. Find out what belongs in your garbage, recycling or should be taken to an Eco Station. Take the pledge to help your building tenants become WasteWise. Everything you need to know to dispose of your waste if you live in an apartment or condo.